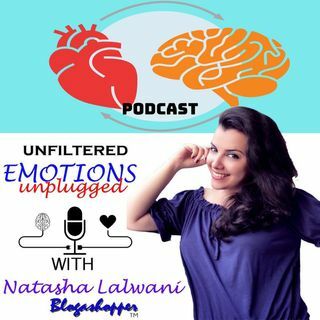 Welcome to another episode of Unfiltered Emotions Unplugged. This is your host Natasha Lalwani. Today we will discuss a very sensitive topic many times shunned by the society with the owner of Brains On Wheels, Ailsa Speak. The human spirit is one of ability, perseverance and courage that no disability can steal away; hence today’s topic will be on the ability of disability. Ailsa Speak, who is this inspiring and talented young woman with Cerebral Palsy, is the owner of Brains on Wheels. ... Más informaciones Ailsa, please tell us about this concept? Ailsa: Brains on Wheels is my personal blog. If you have read my blog, I am sure that you will be aware that it’s all about raising awareness of disabilities. I focus on Cerebral Palsy because that’s the easiest as I have CP myself. I talk about various subjects surrounding disabilities. I think so many people just dismiss me because they think they won't be able to understand me or the other way around. There is no doubt that other people feel the same way about this, so I want to help to put a stop to this. This is partly why I created Brains on Wheels. I feel that too many people are afraid to talk about disabilities because they think that they might offend another person, or they might feel awkward talking about it. In my opinion, you have nothing to stop you talking about things and if other people don't like it, then it's their problem, not yours. Never be afraid to talk about disabilities or illnesses. I totally agree with you Ailsa; one should never be afraid to talk about such sensitive yet essential topics which are dismissed by the society. What exactly is Cerebral Palsy and how did you get it? Ailsa: CP is an umbrella term for lots of different neurological disorders, caused by damage to the brain. There are lots of different types of CP, and it varies a huge amount from person to person. Cerebral Palsy is a non-progressive (does not get better or worse) umbrella term for different disorders that affect an individual's muscle control. CP can affect different people in different ways and no two cases of Cerebral Palsy are exactly the same. When I was born, I didn’t breathe. I was stillborn, but I was revived as it took the doctors about twenty minutes to bring me back to life. Around five percent of babies are born on their due date, and I was one of them. As far as I'm aware I was fine when I was in my mum's womb, but when I came through the birth canal the doctors lost my heartbeat, which is normal, but when I came out, I didn't breathe. At that point, the doctors didn't know whether I would live or not. Then they said I would live but they didn't know how long for and what quality of life I would have. Finally, they said I would live a good quality of life, like anyone else. As a result of me not breathing, in that period when my brain didn’t get the oxygen I needed, brain damage occurred. I was on a ventilator for two days; the ventilator took breaths for me by pumping oxygen around my body and into my brain. I had tubes all over me which was to help me breathe. If I didn't have the tubes on me, you could never tell that there was anything wrong with me because I was a perfect colour, all the other babies were premature, or they had something wrong that was visible. There were about three stillborn babies on that day, and I was the only one that survived. The doctors turned my life support down, so they could find out whether I would breathe on my own, and I did. I came off the ventilator on my sister's birthday, which was a wonderful birthday present for her. To listen to the entire episode just click on the episode tab!